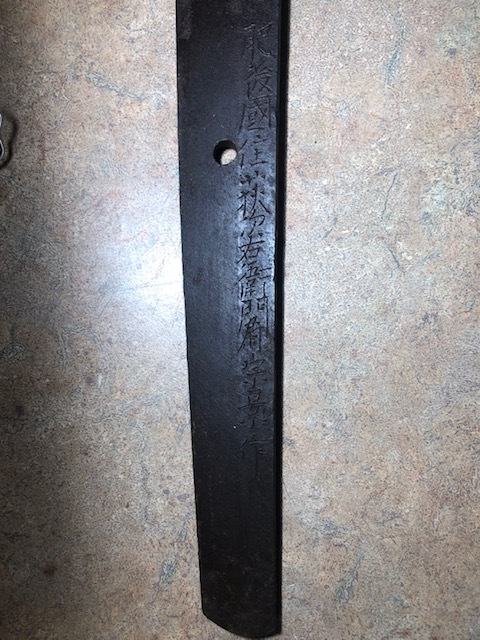 Hello everyone, i have a few quick questions, first off how old is this sword? 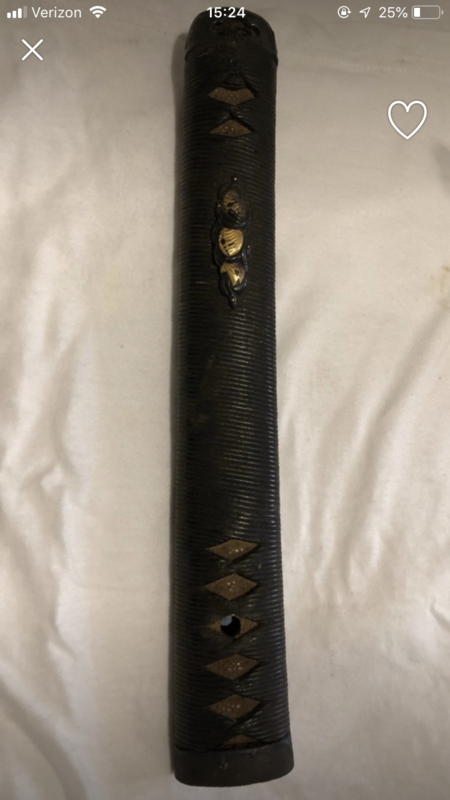 second off what is the type of wrapping is the handle and third, is this a samurai sword or for military use. also the price is $700 is this a good price for this sword. 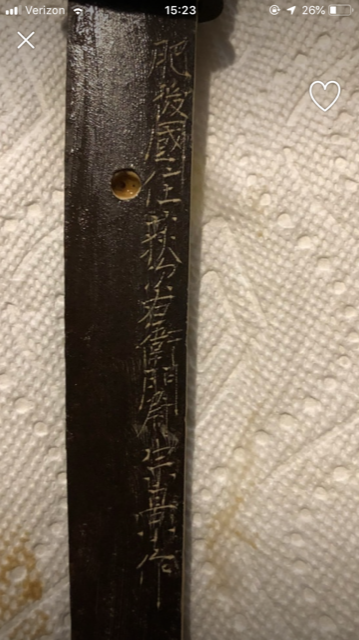 I am not sure on the value nor the age on this or the translation. any help would be greatly appreciated thank you. missing a name to address you! 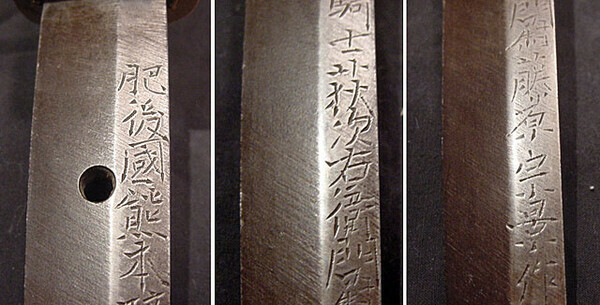 The signature is "Higo (no) Kuni Ju Hagi Jiemon (no) Jo Munekage Saku". 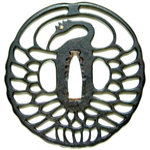 It is a well rated Shinshinto smith, worked around 1840. Sword is old, if signature is genuine, is difficult to tell. Wrapping is maybe lacquered silk thread, tsuka looks contemporary. I would say more pictures of the overall blade are required as well as pictures of the habaki and a closeup of the kissaki. I am just a novice, but I think that's what the resident experts will ask of you. The NAKAGO looks like painted but that may just be the photo or my old eyes. Wrapping could be baleen or lacquered paper. Corrosion seems to be considerably deep. The age has not much to do with value - you can have old blades with little value or vice versa. Quality is crucial, not age. 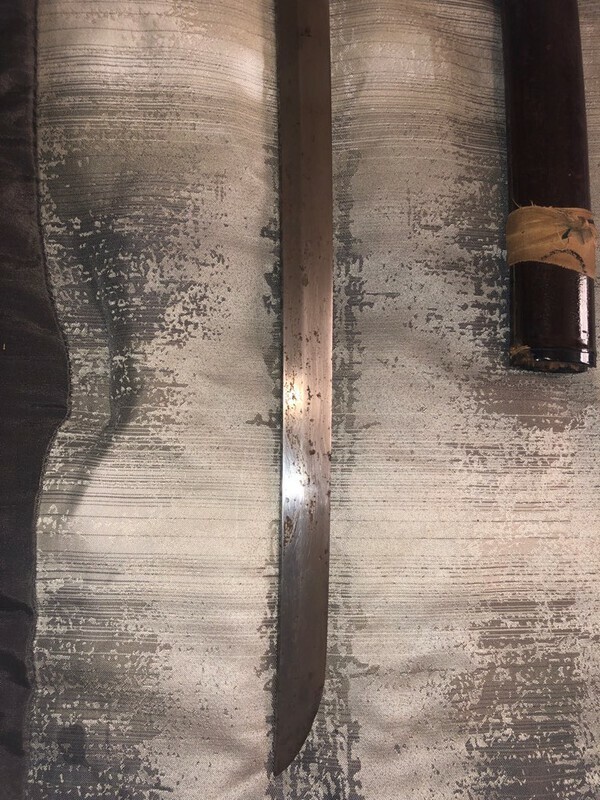 In this case, the condition certainly affects the value if you consider the costs of restoration which might be $ 2.500.-- for a long blade at minimum. You need to put your first name on all of your posts, per Brian's rules - it also makes it easy to address you. 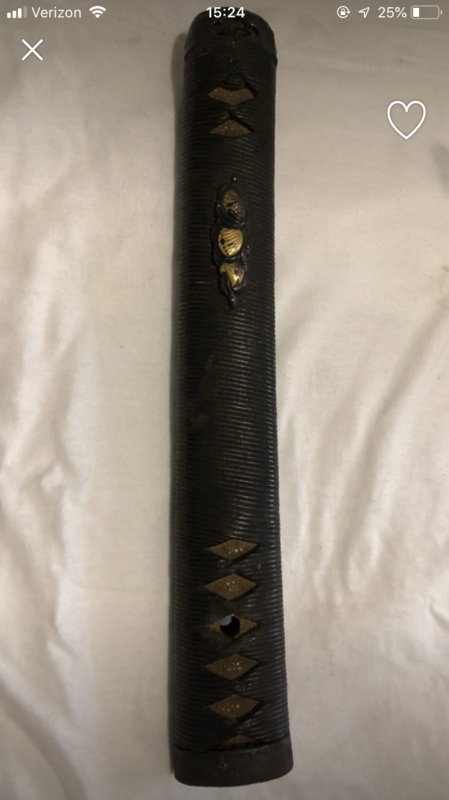 From the damage I can see on this blade (nail catchers on ha, large ware of some sort on shinogiji), rounded-off shinogi, & no sign of a yokote, I think that you can do better for $700. 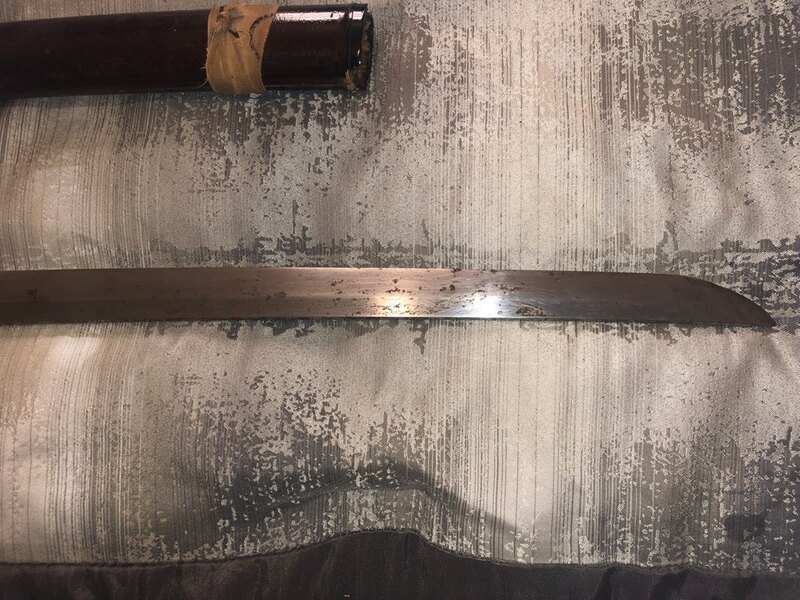 Are these flaws or rust on the blade? If these are flaws the signature would not be legit to the sword.